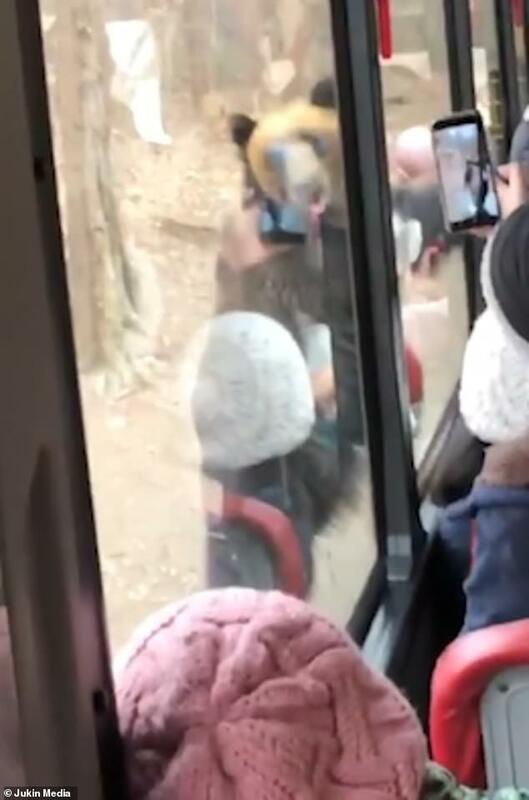 A bear has been filmed shuffling past a busload of screaming tourists on two feet at a South Korean theme park. 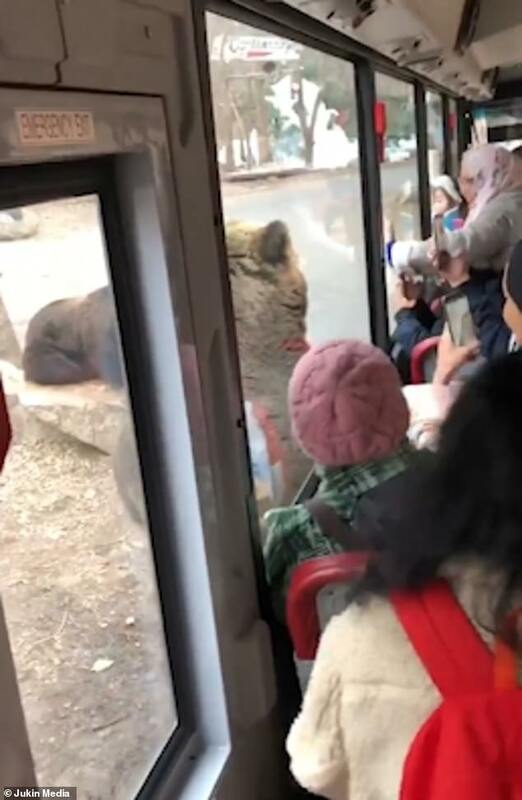 The brown bear, which lives at the Everland Resort, stood on its hind legs and staggered just inches from the side of the bus as it walked passed. Social media users criticised the stunt as being achieved through ‘years of abuse’ and as a ‘circus performance’. 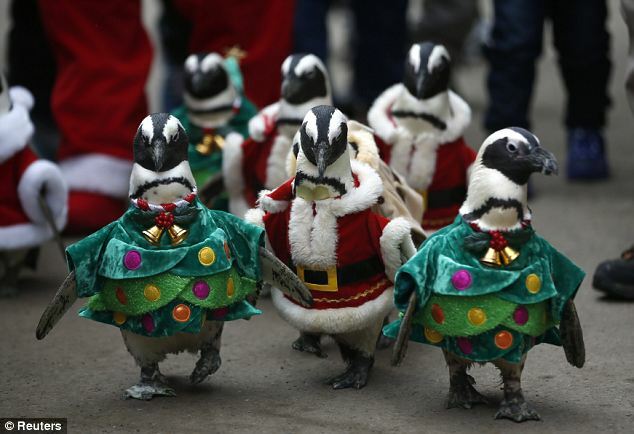 The theme park has previously faced scrutiny for animal welfare after its polar bear, who lived alone for three years, died and penguins were dressed up for christmas. 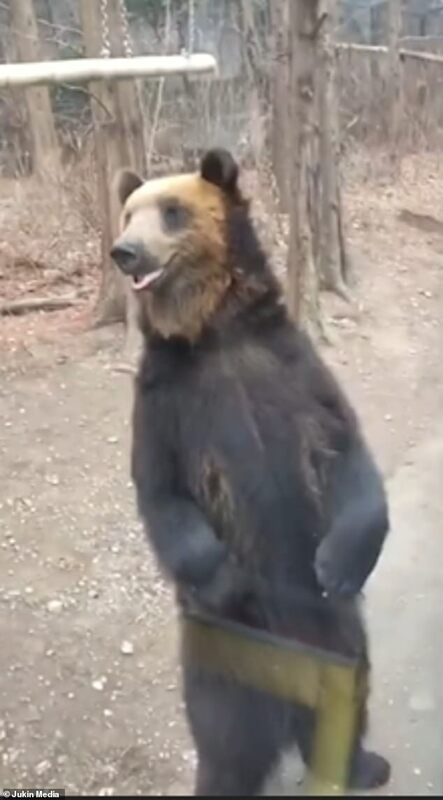 In the video, taken by @nurulshaz1nimds, the bear is seen walking on its back legs down the concrete road towards the bus while shaking its arms from side to side, before passing just inches from the vehicle’s side. She can be heard screaming ‘Oh my god! Look!’ before wailing as the bear passes. Tourists are also shown sticking their phone cameras out at the bear to get a dream snap. 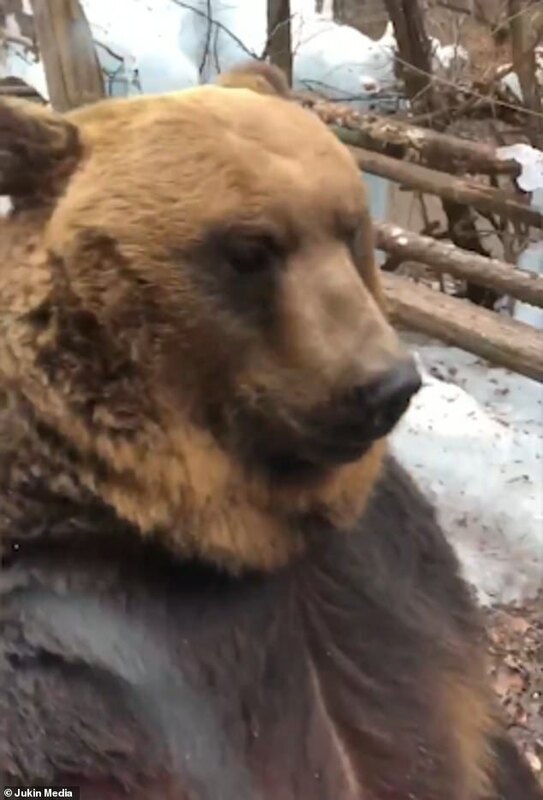 Social media users were quick to share their shock, disbelief, and concern for the bear’s welfare on the post. Bikers for Chelsea MC said: ‘That is one of the most deeply terrifying things I could ever imagine coming out of the darkness’, and Chill Candace also reacted with shock saying: ‘These bears are getting brazen lol’. 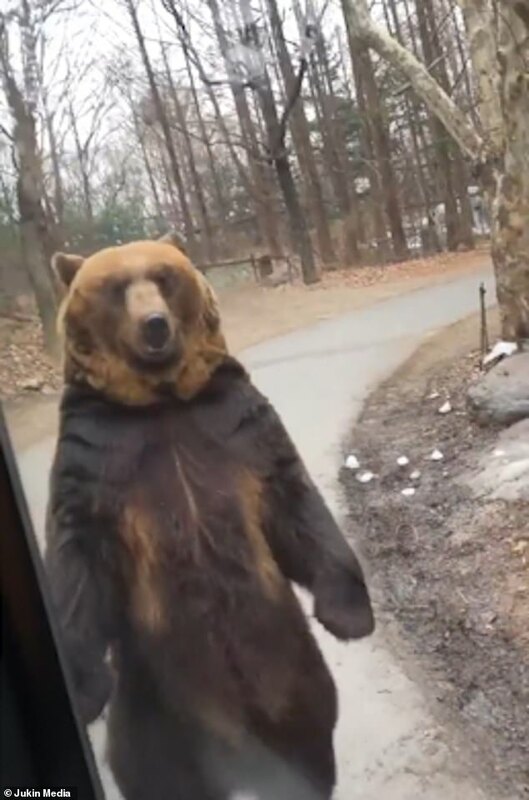 The brown bear has been trained to perform the trick, according to Theme Park Insider. 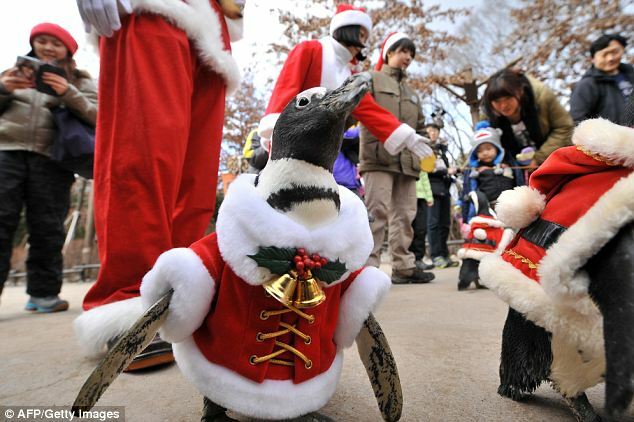 The theme park has previously been faced scrutiny for its animal welfare standards, after its last polar bear, Tongki, who lived alone for three years, died before it could be moved to a different zoo and its penguins were dressed up for Christmas. Tongki, South Korea’s last polar bear, died at the zoo in October last year days before it was due to be relocated to Yorkshire Wildlife Park, to live with four other members of its species. 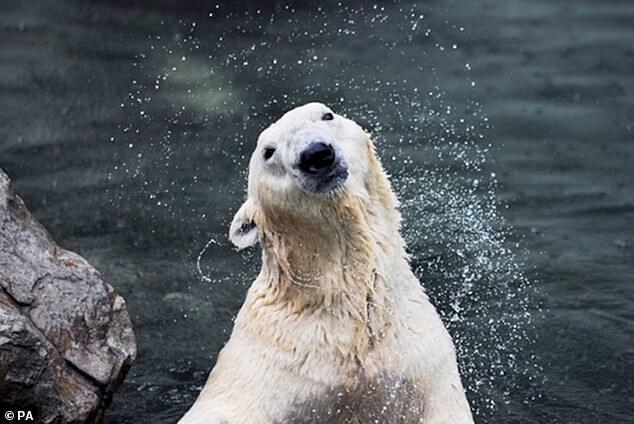 ‘Unfortunately, Korea’s only polar bear, Tongki, which has been loved by the Korean people, has died,’ Everland said at the time, announcing the zoo would hold a five-day remembrance period. The 24-year-old polar bear was around 70 to 80 years old in human years when it died. 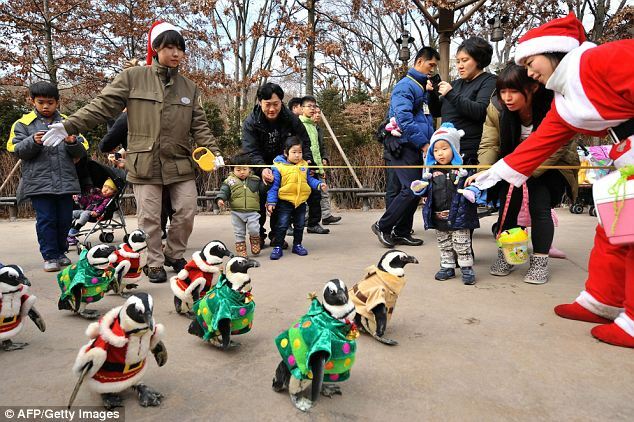 Nine Jackass penguins were also dressed in Christmas outfits as Santa’s, a Christmas tree and a zookeeper, and then paraded around the park. Originally from the coast of Africa, the species is protected as there numbers have dwindled due to extensive hunting and habitat loss. Brown Bears are found in North America, Europe and Asia. They are the second largest bear, after polar bears, with males weighing between 300 and 900 lbs as adults. They are omnivorous, with a diet including deer, fish, berries, honey and nuts. MailOnline has contacted Everland Resort for comment.